Insurance sales: According to Corrin Maier, director of CUNA Mutual Group’s TruStage program, insurance sales account for about 5% of credit unions’ overall non-interest income. Insurance is something that everyone should have and a product that members look for specifically. Members who have an insurance policy with their credit union average a retention rate of 92%, which is 6% higher than those who do not have insurance through their credit union. For staff members with low insurance sales, selling insurance alongside other products will increase the value of the overall sale, as well as increase potential member retention rates. Business loans funded: Loans are a huge portion of any credit unions portfolio, and small business loans are a sweet spot. As shown by a Callahan & Associates TrendWatch report, the second leading driver of credit union portfolio growth is Member Business Loans at 15.5%. With less restrictive lending rules passed over the past few years, credit unions stand to be the biggest market presence in funding small business loans. Some members may not even consider lending options for their business, or may view their relationship with your credit union as limited to their personal finances. Your credit union staff should communicate all loan options to members. Staff members with under-performing loan volumes are likely failing to assess the member's needs and communicate the appropriate loan options that your credit union has to offer. Once they do so, they should see a jump by their name in loans funded by officer report. Cross-selling: A key technique in any sales environment is cross-selling. Promoting products or services that couple well with a member’s existing purchase is the easiest way to increase the value of a sale. Encourage your staff to use cross-selling in their conversations with members. This is a great technique for staff members who have a high sales volume with low portfolio values as they’ll be able to increase their sales by providing more value to existing members. Transactions performed: A low number of transactions performed may suggest that employees aren’t using your credit union's technology to its fullest potential. 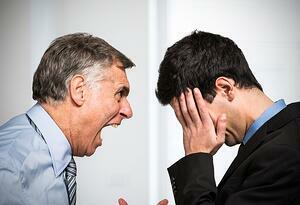 Training your staff to monitor this will increase their effectiveness of service. Teach your employees the shortcut keys on their keyboard and how to navigate transactions by using the tab and enter key rather than moving back and forth to the mouse. Also, keep in mind there is a balance between building rapport with members at the teller line and performing transactions quickly. Member retention: In the article featured on CUInsight, "The Ultimate Guide to Credit Union Member Retention," we site how returning members invest more in your credit union; for non-financial companies, only a 5% increase in customer retention rates can increase a company's revenue by 25-95%. 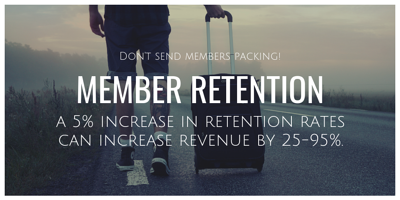 While credit unions are a different beast in many ways, member retention is one that holds true across the board... members who already know the value in your product or service return again and again, and that provides a huge ROI. Member retention is a key indicator of member’ satisfaction with your staff. If you know your credit union is providing great products and services compared to competitors, then it may be staff interactions that are falling short. A consistent decrease in member retention means it’s time to look at your member service policies and determine how your staff can better satisfy the needs of your members. Read the article The Ultimate Guide to Credit Union Member Retention for strategies to improve your retention rates. Even without an annual employee review process, there are several ways to monitor your employee's skill level. By doing so, you can guide them to be even more successful than they already are and provide feedback on areas where they can improve. This will allow opportunities for continued education and increase their confidence in both their skill level and ability to serve members.